Accessing large data stored in memory may be time consuming. As data is general stored in RAM, it requires a transfer from to the processor. This transfer is time consuming on a PC because RAM and processor are physically separated. When you want to program multiple access to data stored in RAM, the question of optimization may be an issue. I’ve read and heard many things about this topics, here is (almost) the truth. 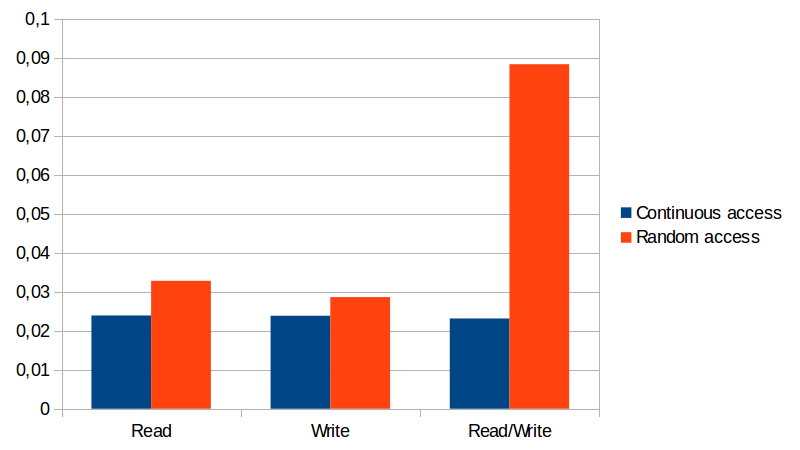 This post will focus on reading and writing data in large array. We will not consider memory allocation that is usually done only once. The following benchmarks have been performed on an Intel architecture (octo-core I7) under Ubuntu 14.04, data were stored in memory (no swap on disk). The first conclusion is that is is true. We may imagine that the requested byte is copied from memory to the processor. But in fact, this is not what happens. The processor always copy a segment of data, it means that during continuous access, the number of copy is limited because neighbored bytes just need one copy. In random access, a copy must be done at each access. 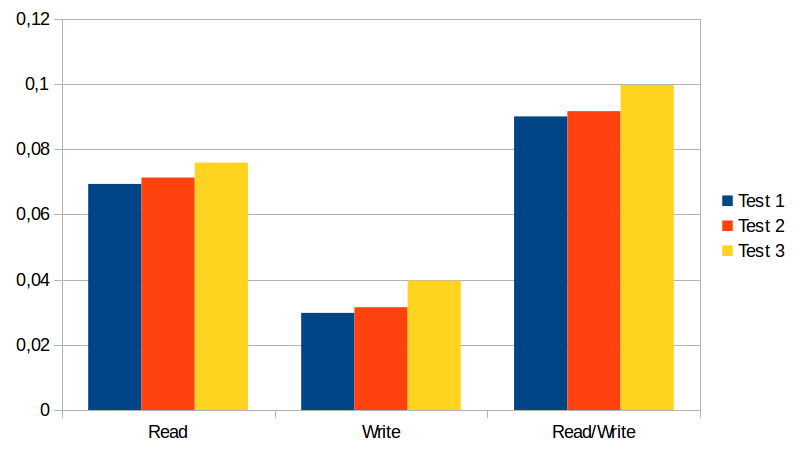 It's not clear about why Writing is faster than Reading. If you have the answer, leave me a message. Obviously, this is equivalent. This is not really a surprise, in both cases data, are stored in memory. 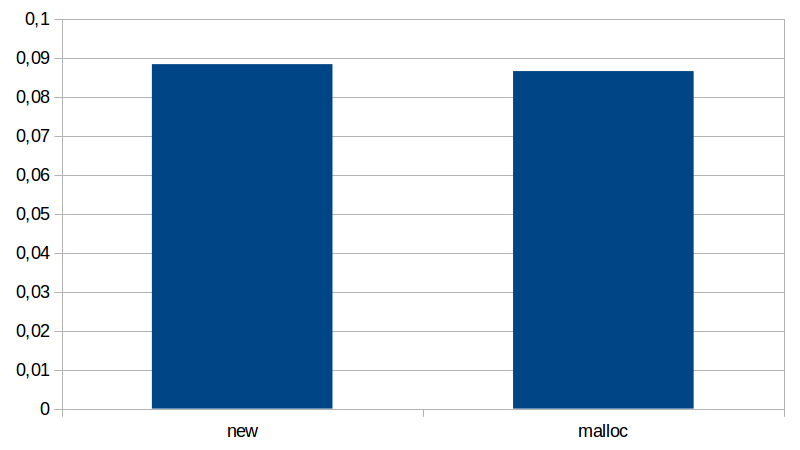 The tiny difference is probably due to other processes that took some resources during benchmark. Let's take the example of a two-dimensions array dynamically allocated (for example and image). We want to access to pixel at coordinates (x,y). The first solution consists in creating an array of size  and accessing to the elements by computing the index . As you can see, the first solution is the fastest, event if there is a calculation. On modern computers, calculation requires in fact few cycles while large memory access is still an issue. The second solution requires two memory accesses, one for getting the address of row, and the second for the data. The third solution is still worth because it requires more transfers from memory to the processor since data are scattered in memory. Clearly, the type of data changes the time of access. The larger are the data is, the slower is the access. 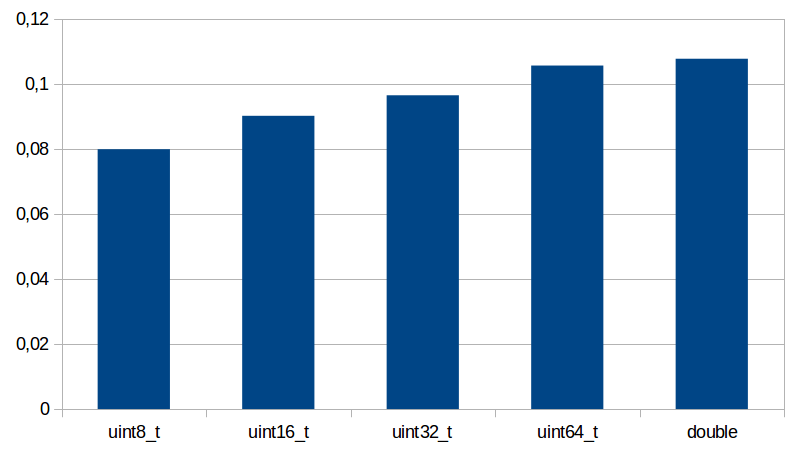 I guess this is because big data generally requires more copies from memory to processor due to the fact that an array of uint64_t is 8 times larger than the same array of uint8_t. This result must be consider with precaution because it is not necessary true when accessing few bytes.